The U.S. saw a 10 percent dip in coal production in 2015, part of a downward trend that continues to accelerate. It's now at its lowest level since 1986. The decline was most pronounced in Appalachia, according to data from the U.S. Energy Information Administration. The Central Appalachian Basin saw a 40 percent drop in coal production from 2010 to 2014. It's not just environmental regulations pushing down on coal. 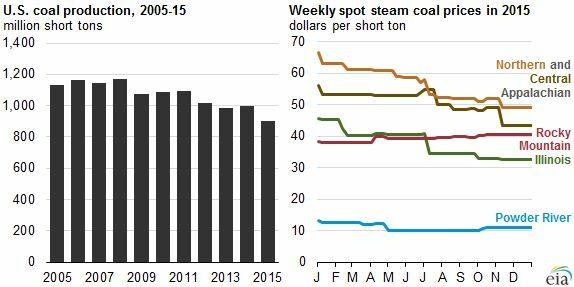 Low natural-gas prices in the U.S. are also challenging coal’s dominance in the electric sector. In April 2015, natural gas surpassed coal as the dominant generation source in the U.S. electric sector for the first time ever. The trend continued from July through at least October (figures for the last two months aren’t finalized yet). EIA is estimating that 2015 coal consumption in the power sector will be at its lowest level since 1988. 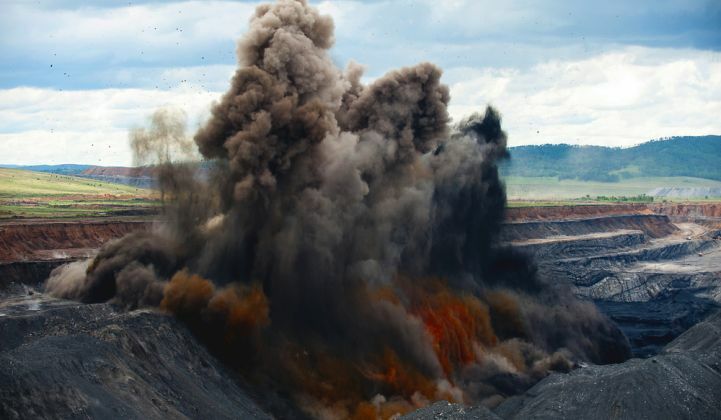 As coal comes under pressure, the companies that deliver it are taking a hit. Since 2012, more than 40 U.S. coal companies have filed for bankruptcy. The Paris climate agreement also marked a shift for coal. Although developing countries will continue to ramp up coal use in the short term, they collectively agreed that coal is not in the best long-term interests of the global community. Even in China, however, coal is on the decline (even if the rate of decline is in dispute). According to Bloomberg New Energy Finance, utility-scale solar prices will rival coal in Europe and India by 2025. And China isn’t far behind, with both wind and solar reaching parity with coal prices by 2030.